Alpha, Bravo, Charlie, Delta. Practice your maritime alphabet with the Communic-ocean Tie from Alynn Neckwear. 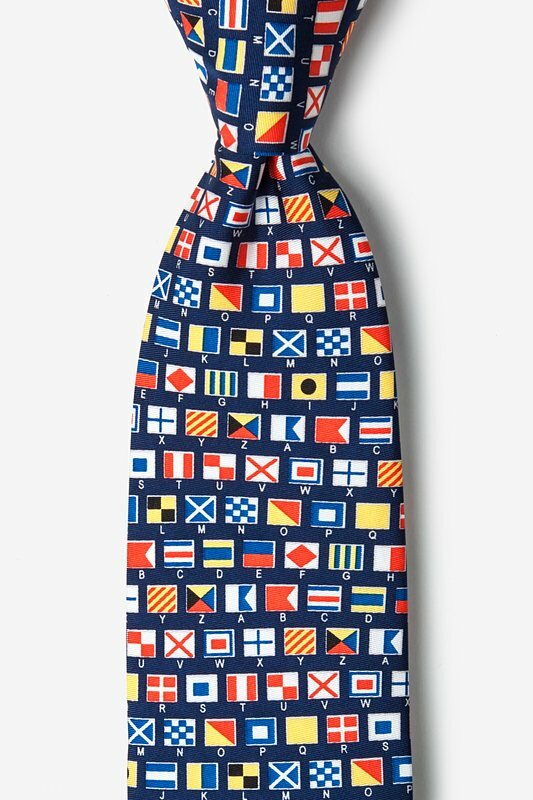 This silk tie features the complete set of maritime si... read more Alpha, Bravo, Charlie, Delta. 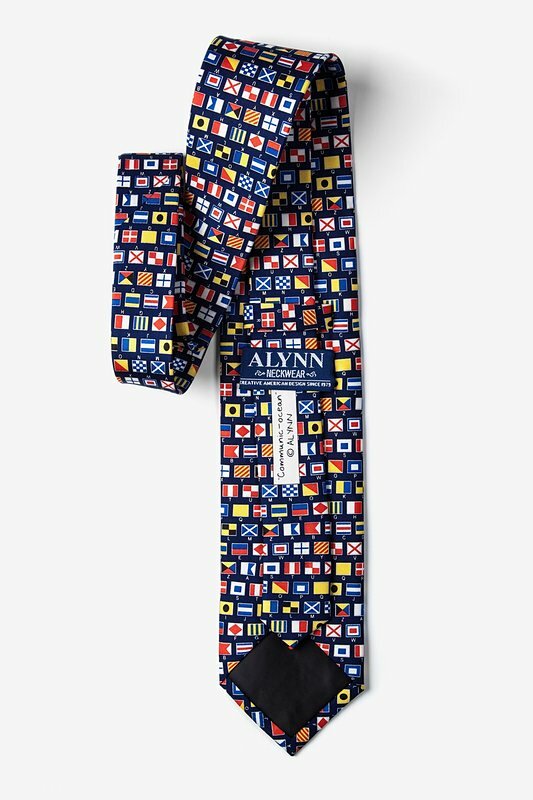 Practice your maritime alphabet with the Communic-ocean Tie from Alynn Neckwear. 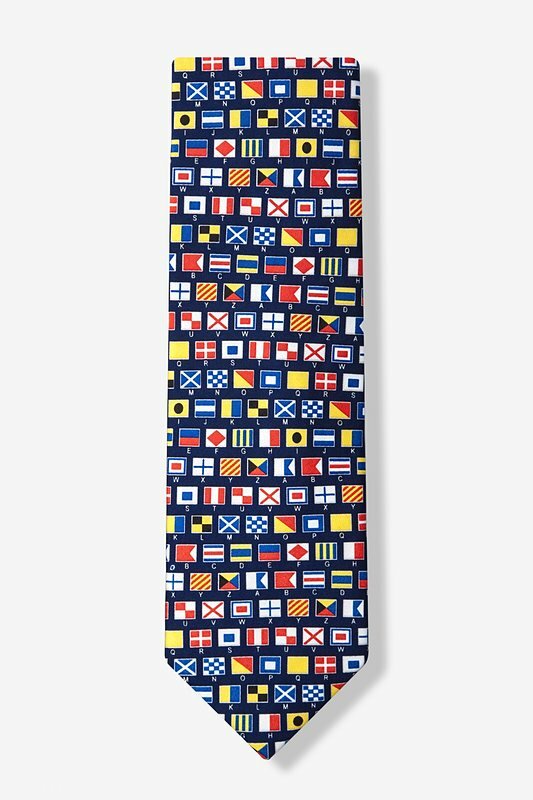 This silk tie features the complete set of maritime signal flags in red, yellow, black, white, and blue on a navy blue background, leaving you utterly beyond words!